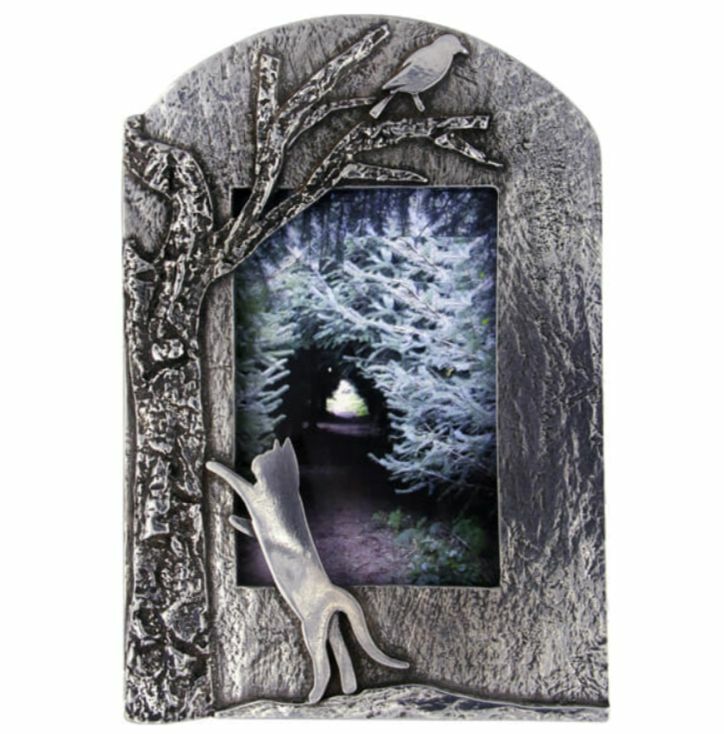 This Woodland Cat Motif Arched Textured Photo Frame is exquisitely crafted in beautiful Stylish Pewter. 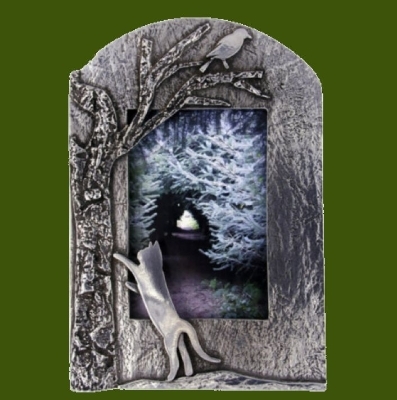 This slate effect photo frame features a few woodland friends around the edges. Photo Frame measuring approximately 106.00mm (4.17 inches) x 73.50mm (2.89 inches). The photograph size to fit the frame is 6.00cm (2.36 inches) x 4.00cm (1.57 inches). Supplied in a satin and velvet gift box. This beautiful photo frame is the perfect gift to celebrate any occasion.